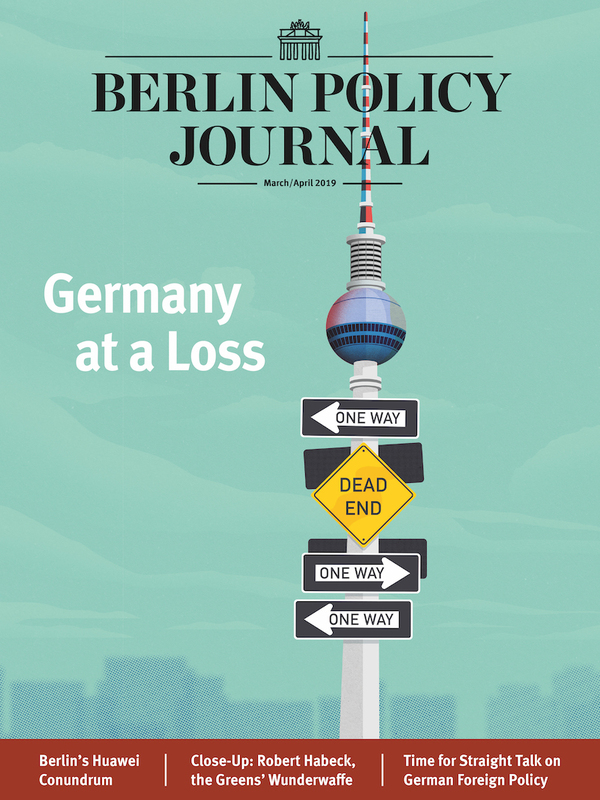 Home Berlin Policy Journal Does Merkel Have to Go? 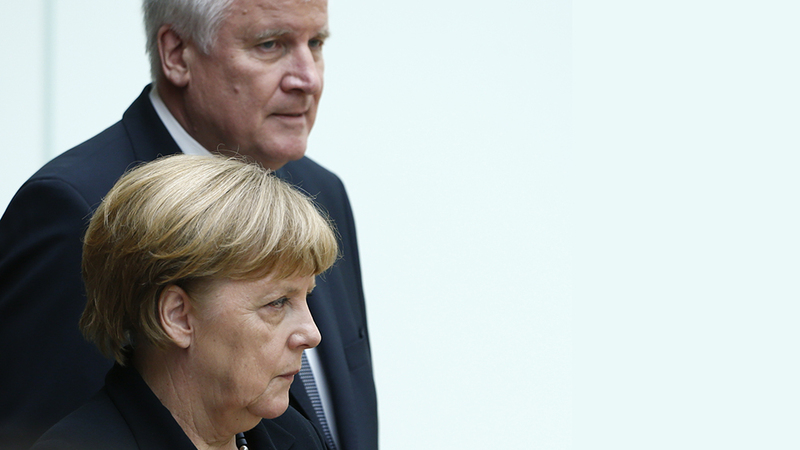 This fall, Germany’s chancellor has been facing mutiny within her own ranks. But Angela Merkel has decided to fight for the future of Europe’s most successful popular party. It’s no secret that trouble has been brewing within the Christian Democratic Union (CDU) ranks for months. But the rumble of discontent in Berlin, Munich, and Brussels has grown to a loud chorus. And party members are asking themselves a fundamental question: Do we still believe in our chancellor? Even those in Merkel’s closest circles have sensed a paramount shift. Trust, it seems, is evaporating. At the same time, Merkel’s sister party in Bavaria, the Christian Social Union (CSU), has been gradually tightening the screws on Chancellor Merkel. They have consistently shifted the focus away from single-issue politics toward a broader, more fundamental conflict. Bavarian Minister President and CSU chairman Horst Seehofer made clear the rift has long since ceased to be about the refugee crisis. Instead, he says, average voters are no longer willing to play along with Berlin’s politics. Cancelling a trip to Russia and the opening of an Oktoberfest celebration in Berlin, he fueled the impression that Germany is in a state of emergency. For Merkel, on the other hand, everything that she says or does is under the microscope and will likely be turned against her in the run-up to next year’s federal elections. Her trips abroad, the meetings with the world’s rich and powerful – all that had bolstered her image at home in the past. Now it serves as proof that she is out of touch with Germany’s problems. A chancellor’s popularity does naturally slump during the course of his or her time in office. And given the state of events, an approval rating of 34 percent is still surprisingly high. Crises of confidence are a familiar phenomenon as well. Yet this time, something is fundamentally different: With her handling of the refugee crisis, Merkel herself has become a problem in the eyes of many. She was always a force of cohesion in the CDU; now, she has divided her party and politics across the country. The recent state elections in Mecklenburg-West Pomerania and Berlin were catastrophes for the CDU. Germany’s capital will soon be governed by a coalition of the Social Democrats (SPD), the Left Party, and the Greens. There is much to suggest that the debate around this particular constellation (which could create an alternative to Merkel on the federal level) will intensify in the near future. And the dangers for Merkel are considerable. For the first time, criticism of her and her policies has called into question her chances of staying in power. Still, it seems Merkel has decided to fight. She wants to turn the tables and defend the very political dominance that she has helped to build. Indeed, Merkel offered an olive branch to her critics shortly after the Berlin election by publicly admitting mistakes in her approach to the refugee crisis. Merkel is not known for swift reactions. Her wait-and-see policy is her trademark. Some call it patience, borne out of her temperament and the lessons she has learned along the way to the top. And mostly, waiting has paid off for Merkel. 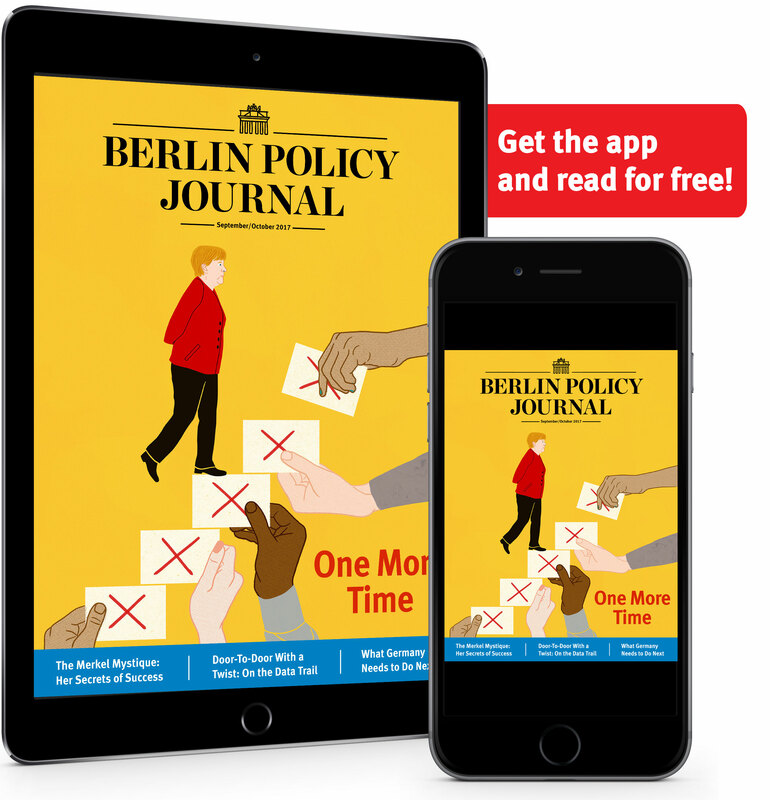 But with the CSU and her SPD coalition partners, the Social Democrats (SPD), attacking from both sides, many Germans feel frustrated and misled, and the right-wing populist Alternative für Deutschland (AfD) has deftly filled the gap. Merkel long believed the grand coalition she had built with the SPD was always a sure bet, with her squarely in the driver’s seat. Even the AfD seemed like a bargaining chip. The party was too small to be a real threat but large enough to make other small alliances impossible. The Berlin elections revealed that dynamic might be coming to an end. There are, of course, a good number of CDU members, if not the majority, who still stand with Merkel. But they are uncomfortably quiet, and for good reason: How do you address a power struggle within your own party? One lawmaker admitted soberly that the CDU has “lost its ability to run campaigns because it’s been so damn comfortable over the past few years.” Merkel was there, and all was well. That is no longer the case. Bavarian parliamentarians say the atmosphere among the party’s base is disastrous. Even those who had long been sympathetic to Merkel have distanced themselves from her on the refugee crisis. CSU lawmakers seem to make new demands of the chancellor everyday, ranging from the political to the absurd: Merkel should announce an upper limit on the number of refugees allowed into the country; Merkel should openly admit she was wrong; Merkel should promise it will never happen again; Merkel should rejoice in the fact that fewer refugees are arriving. Merkel has already addressed many of these points. She admitted, for example, that every country has its limits and that 2015 would not be repeated. Yet no one seems to be listening. This lack of receptiveness is polarizing in itself. To Merkel, it’s proof that her critics don’t actually pay attention to what she says. To them, it’s proof the chancellor doesn’t mean what she says. To many, it sounded like the chancellor was picking and choosing her country, and not the country picking her. The old suspicion in the CDU – that Merkel was not “one of us” after all – resurfaced. Her calm and rational approach has appeared brittle and inept in the face of rising nationalist emotions. Merkel has always had good sense when things get really tough, and the current situation is no exception. She has distanced herself from “we can handle this.” She does not want to appear stubborn, but also doesn’t want to backpedal. After striking the refugee deal with Turkey, she and her cabinet have worked quietly to draw up similar agreements with countries like Egypt to stem the flow of refugees. She continues to bet on facts, not emotions. And Merkel? She seems to be determined to take up the struggle – the struggle over the future of what used to be Europe’s most successful popular party. is a political correspondent at DIE ZEIT’s Berlin bureau.